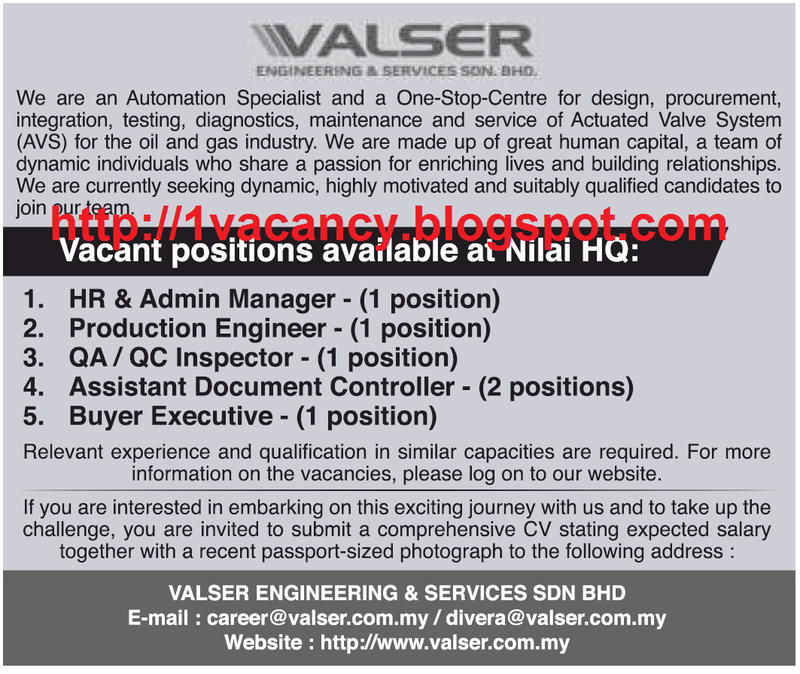 VALSER Engineering & Services Sdn Bhd is a Valve Automation Specialist company specifically focused on Actuated Valve Systems (AVS). We provide specialized services in the design, procurement, engineering, integration, and testing of AVS units with Single Point Responsibility (SPR) and Total Warranty. As of 2014, V.E.S also provides power generation systems.